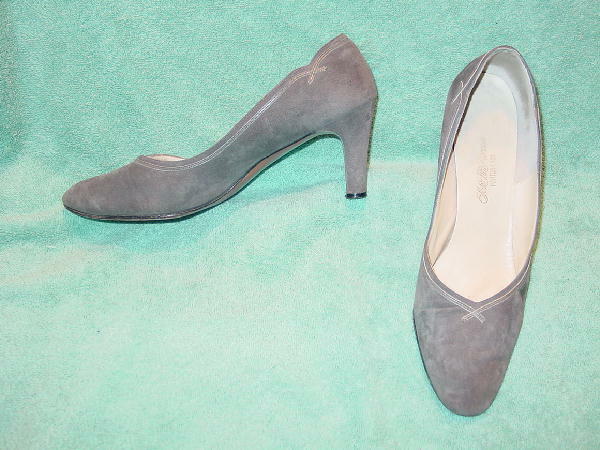 These vintage dark gray pumps have elongated rounded toes. They are in a soft (to the touch) gray suede with gray leather accent strips around the openings. There are dark bone color leather linings. They're from a former British model, who always wore vintage shoes when she went on castings.